This detached, red brick cottage is located in the Worcestershire town of Stourport-on-Severn and can sleep five people in three bedrooms. 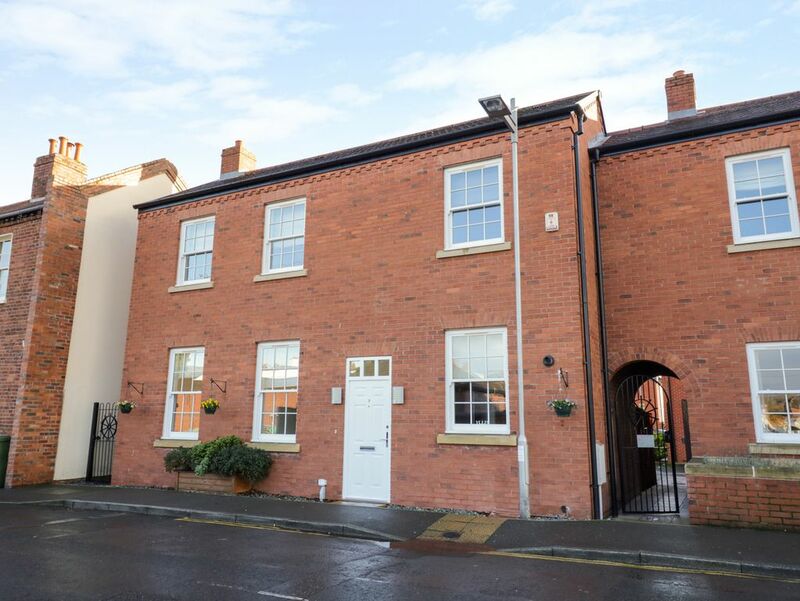 7 Mart Lane is a charming, red brick cottage nestled in the heart of Stourport-on-Severn, overlooking its canal basin. It boasts three bedrooms; a king-size double with en-suite shower room, a twin and a single, sleeping five people in total. The interior also occupies a bathroom, a ground floor cloakroom, a kitchen/diner, a sitting room with gas fire and a snug. To the outside is off-road parking for 3 cars, with 1 space at the front and 2 at the rear, as well as an enclosed garden at the rear with patio and furniture. 7 Mart Lane promises a memorable holiday in a splendid part of Worcestershire. Town: Nestling amongst the countryside surrounding the Severn Valley, is the riverside town of Stourport-on-Severn. It hosts many individual shops, pubs, restaurants and cafes as well as being home to river cruises, fishing, horse riding and bike riding. The market town of Bewdley is just a short drive away and boasts riverside pubs and cafes, antique shops and craft galleries, all surrounded by beautiful countryside. The Severn Valley Steam Railway, West Midlands Safari Park, Cadbury World and the Black Country Living Museum, as well as numerous National Trust properties are among many attractions in the area. Three bedrooms: 1 x king-size double with en-suite shower room with walk-in shower, basin and WC, 1 x twin, 1 x single. Bathroom with bath, shower over, basin and WC. Gound floor cloakroom. Kitchen/diner. Sitting room with gas fire. Snug.